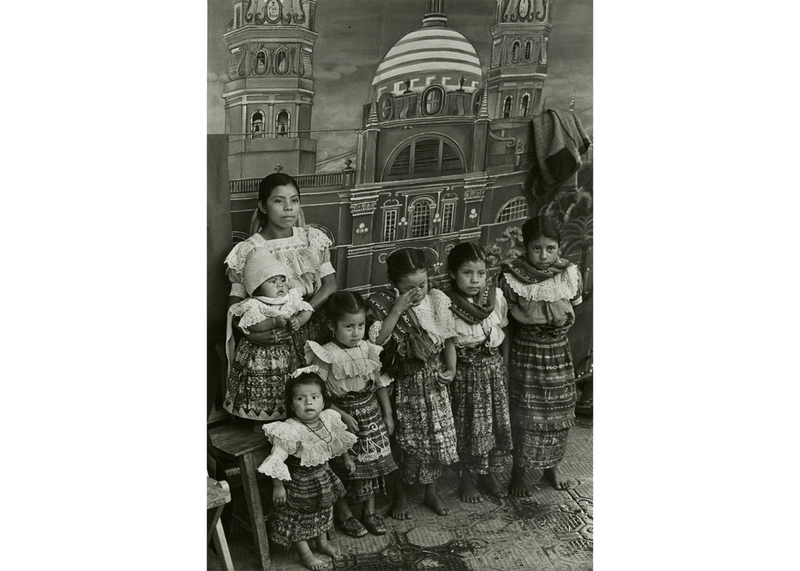 Image above: Ann Parker, Sisters dressed for annual fair, Barillas, ca. 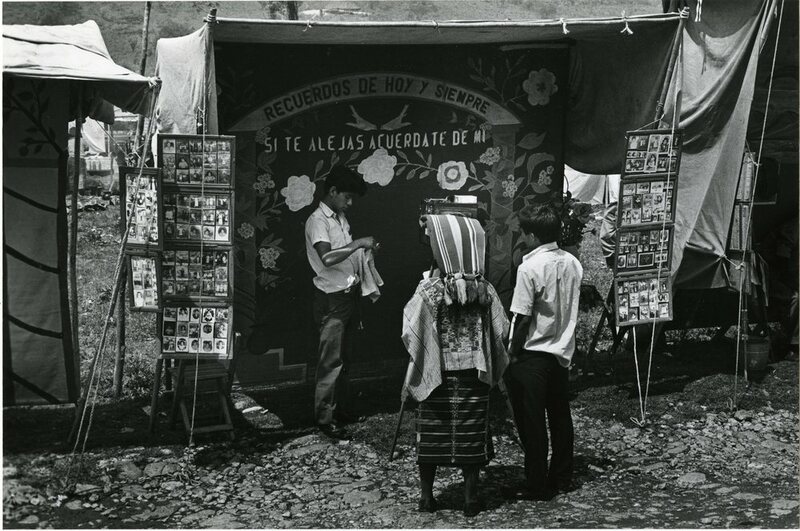 1970s, Cibachrome print, printed 1985-­‐‑1986 / Courtesy Deborah Bell Photographs & Paul M. Hertzmann, Inc.
Deborah Bell Photographs announced its upcoming exhibition, Ann Parker / Los Ambulantes: The Itinerant Photographers of Guatemala / Vintage Photographs. The exhibition will be on view from March 4 through April 30, 2016. 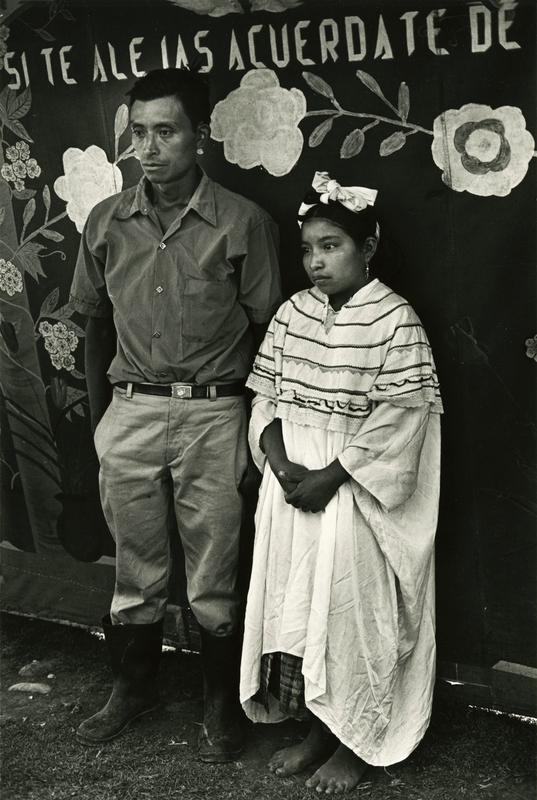 This is the first exhibition of Ann Parker's important series, Los Ambulantes, in a New York gallery since 1981. 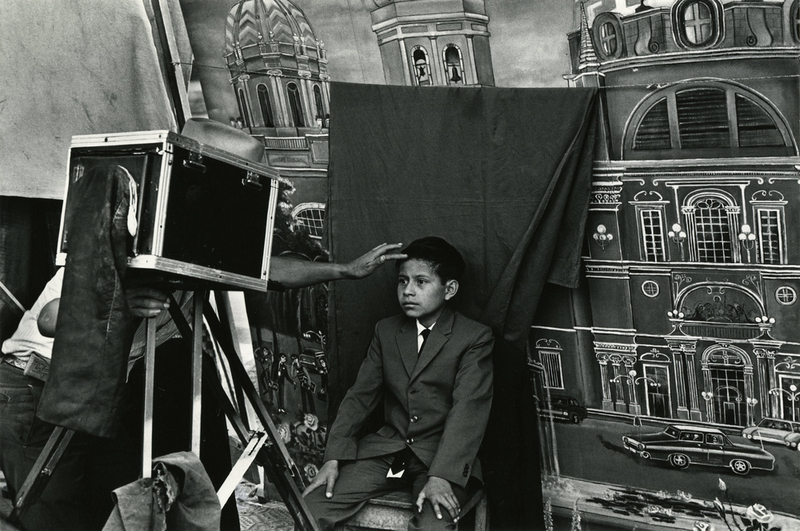 Image above: ©Ann Parker, Choosing the backgrounds, Barillas, ca. 1970s, vintage gelatin silver print on original mount / Courtesy Deborah Bell Photographs & Paul M. Hertzmann, Inc. 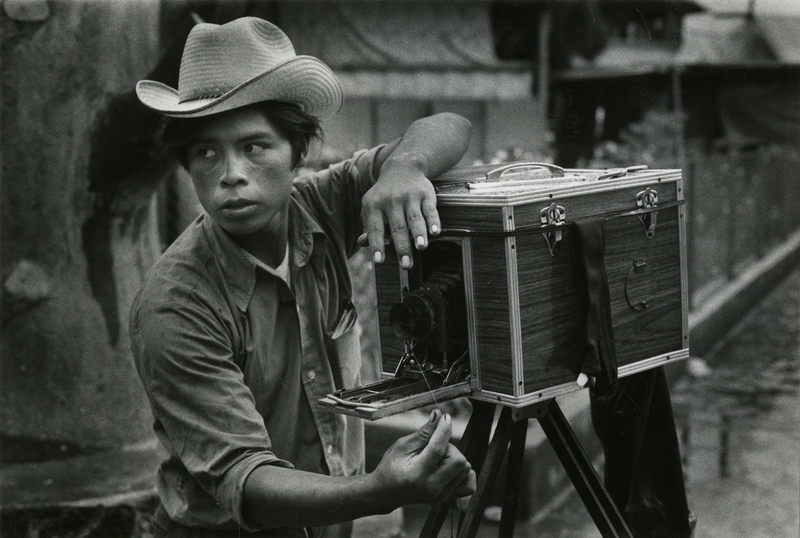 In the 1970s Parker made several trips to Guatemala with her husband, the writer Avon Neal, where she pursued the decade-long project that came to be known as Los Ambulantes. Image above: ©Ann Parker, Photographer directing pose, Santa Cruz del Quiché, ca., vintage gelatin silver print on original mount / Courtesy Deborah Bell Photographs & Paul M. Hertzmann, Inc.
From that day in the spring of 1971 when I first chanced upon a group of itinerant photographers working with their old-fashioned cameras and painted backdrops in a Guatemalan marketplace I have been fascinated by their world and the images that pass before their lenses. Image above: ©Ann Parker, Seven daughters, Santa Cruz del Quiché, ca. 1970s, vintage gelatin silver print on original mount / Courtesy Deborah Bell Photographs & Paul M. Hertzmann, Inc. I am especially intrigued by the intensity with which Indians from highland villages react to being photographed […]. Their almost trancelike expressions, so reminiscent of the formal portraiture found on tintypes and daguerreotypes, clearly show that for them the camera still retains much of the powerful magic it had in its earliest years. In our society, where it is not uncommon for people to be photographed hundreds of times, the psychological impact of facing a camera is greatly diminished. Many of the people […] were typically appearing before a camera for the first and perhaps only time. The casual snapshot plays no part in their existence, and the rarity of coming before lens is reflected in the portraits. Image above: ©Ann Parker, Recently married couple, Barillas, ca. 1970s, vintage gelatin silver print on original mount / Courtesy Deborah Bell Photographs & Paul M. Hertzmann, Inc. In a kind of partnership with the itinerants, I have acted as their photographic spokesman to record, in a more lasting way than they are able to, the essence of their world. I brought to the task my vision, my photographic knowledge and equipment, and my firm belief in the importance of recording this folk tradition. Image above: ©Ann Parker, Juan Gonzalez, ca. 1970s, gelatin silver print, printed 1982-­‐‑1983 / Courtesy Deborah Bell Photographs & Paul M. Hertzmann, Inc.
Ann Parker (American, b. 1934) studied at the Rhode Island School of Design from 1952-54 and earned a BFA from Yale University in 1956. She studied privately with Minor White in 1955, and took classes with Lisette Model and Joseph Breitenbach at The New School in New York in 1961-62. Image above: ©Ann Parker, Portrait with chickens, Momostenango, ca. 1970s, Cibachrome print, printed 1985-­‐‑1986 / Courtesy Deborah Bell Photographs & Paul M. Hertzmann, Inc.
Parker's photographs are in the collections of the Addison Gallery of American Art, Andover, MA; Amon Carter Museum of Art, Fort Worth, TX; Center for Creative Photography, Tucson, AZ; George Eastman Museum, Rochester, NY; Gernsheim Collection, Harry Ransom Center, Austin, TX; Hood Museum of Art, Hanover, NH; Mead Art Museum, Amherst, MA; Metropolitan Museum of Art, New York, NY; Museum of Fine Arts, Boston, MA; Museum of Modern Art, New York, NY; Whitney Museum of American Art, New York, NY; Worcester Art Museum, Worcester, MA; among other private and public collections. 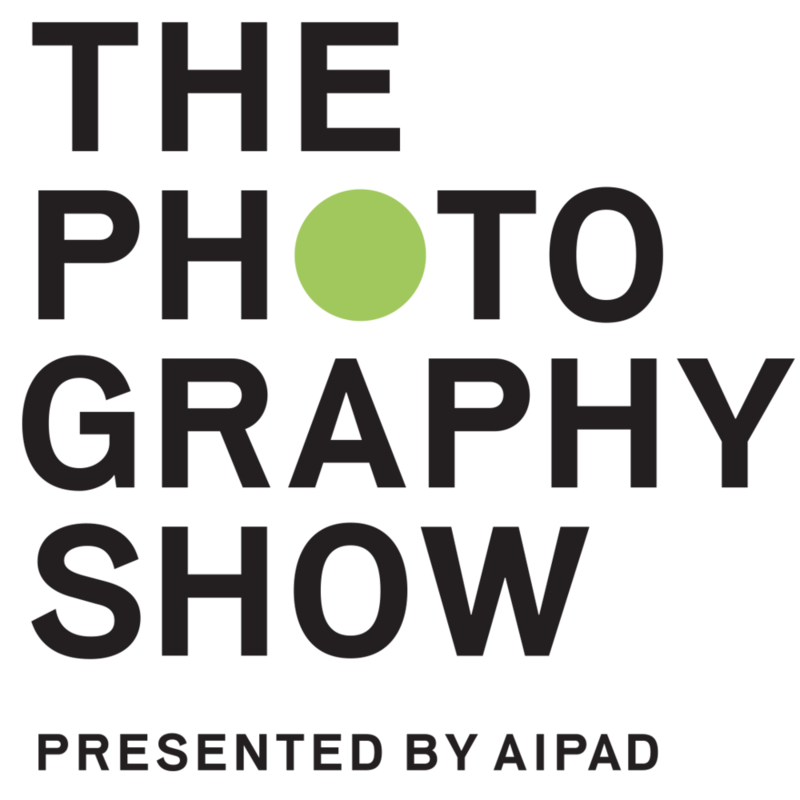 This exhibition is held in association with Paul M. Hertzmann, Inc., San Francisco.